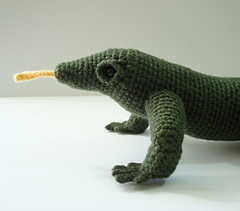 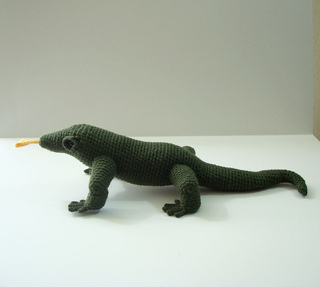 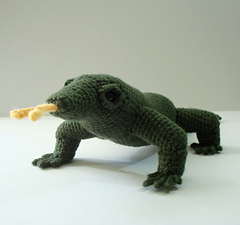 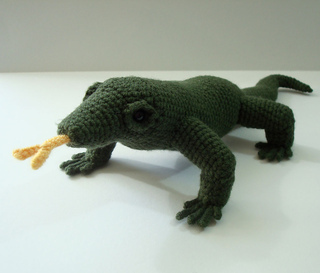 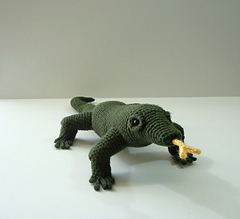 This Adobe Pdf file is my original design crochet pattern for a Komodo dragon. 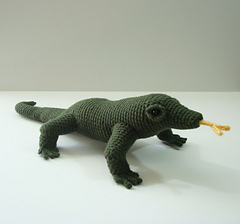 The written pattern is illustrated with photos showing every step in the construction of the lizard. 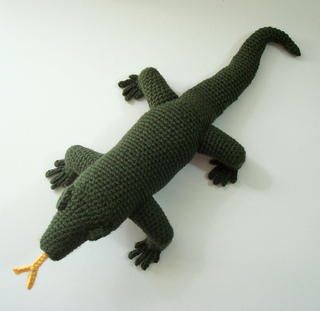 The pattern is crocheted in a continuous spiral and requires knowledge of the following stitches (including increases and decreases): chain, slip stitch, single crochet, and half double crochet. 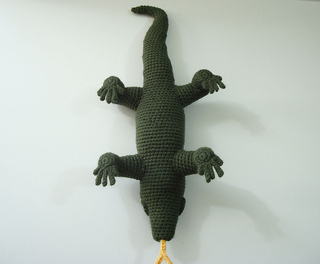 Item size will depend on the weight of yarn used. 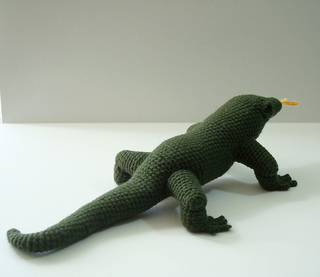 I crocheted the sample with Loops and Threads Impeccable worsted weight (#4) acrylic yarn and size F crochet hook.The sample size is 3 1/4” high, 16 1/2” long including the tail and tongue, and 5 3/4” wide between the two front legs.